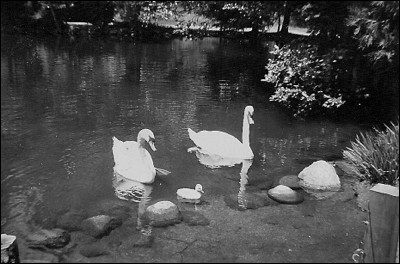 Swans in Lithia Park, Ashland, Oregon, 1943. At the time this was the only pond in the park. It's now called the Upper Duck Pond.